Offering you a complete choice of products which include pp laminated woven fabric, hdpe woven laminated fabrics and hdpe woven fabrics. With the assistance of our skilled professionals, we are involved in offering a diverse range of PP Laminated Woven Fabric. Our given laminated woven fabrics are manufactured by our competent workforce utilizing latest machines and high quality material. These laminated woven fabrics are applauded in the market for their finish & high durability. 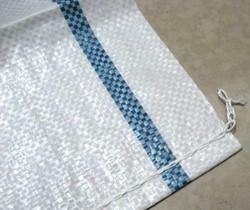 Our valuable clients can avail these laminated woven fabrics at nominal prices. 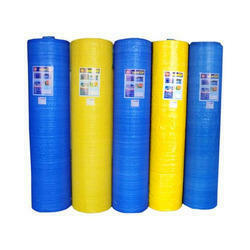 Symbolic to all the success we have gained, we are offering a range of HDPE Woven Laminated Fabrics. These laminated fabrics can be availed in customized options in accordance with the customer’s needs. Offered laminated fabrics are manufactured from quality proven material and modish technology as per the industry norms. Our laminated fabrics are checked on various parameters of quality in ahead of their final dispatch. 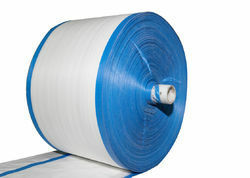 Banking on our skilled professionals, we are offering an all-encompassing range of HDPE Woven Fabrics. Our provided woven fabrics are made by our experts using best quality material & leading techniques in sync with the standards of quality. These woven fabrics are offered in diverse sizes options in order to satisfactorily fulfill specific needs of our clients. Offered woven fabrics are high on demand in the market for its superior quality.